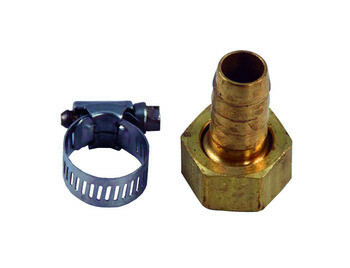 The Fill Valve Spigot Connector is a garden hose adaptor assembly for 1/2” water fill valve connections. It connects a 1/2” poly pipe to a standard garden spigot. It also includes a hose clamp. The product was created by Aquascape. Who is the Aquascape Fill Valve Spigot Connector 1/2” Poly? The Fill Valve Spigot Connector allows for a quick connect fitting for 1/4” fill valve. 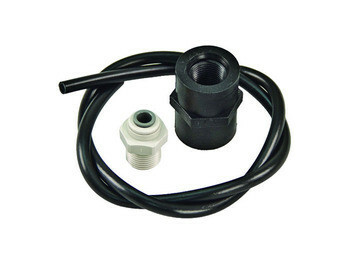 The spigot connector connects to a 1/4” poly pipe to a standard garden spigot. The product was created by Aquascape. Who is the Aquascape Fill Valve Spigot Connector 1/4” Poly? The Water Fill Valve automatically maintains water levels in ponds, decorative water features, and pools. The mechanical water arm style water fill valve allows up three gallons per minute flow rate a 0-100 PSI. When purchased, the product includes fittings to connect 1/2” poly pipe or 1/2” PVC pipe. The product is created by Aquascape. 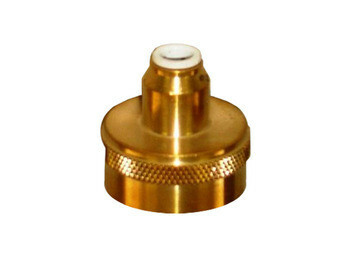 The fill valve spigot connector is a quick connect fitting for 1/4” fill valve. The spigot connector connects 1/4” poly pipe to a standard garden spigot. The product is created by Aquascape. Who is the Aquascape Fill Valve Spigot Connector 1/4” Poly for? 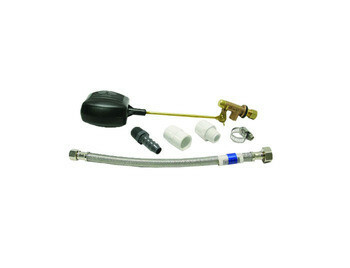 Fill Valve Irrigation Conversion Kit 1/2" x 1/4"
Aquascape Pond Supplies: Fill Valve Irrigation Conversion Kit 1/2" x 1/4"
The Fill Valve Irrigation Kit is a kit used for the conversion for the Hudson Water Fill (#29469). The kit is also used to convert 1/4-inch Hudson Water Fill Valve (#29469) to connect 1/2-inch poly or PVC irrigation. The product is created by Aquascape. 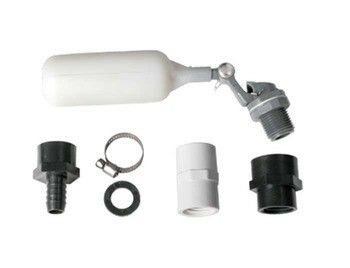 Who is the Aquascape Fill Valve Irrigation Kit 1/2”x1/4”? 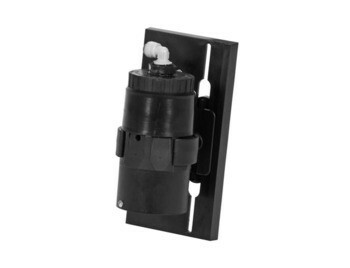 Who is the Aquascape Fill Valve Irrigation Kit 1/2”x1/4” for?